Kurt Cobain, CPYU, and Remembering. . .
Sleeping last night was a bit difficult. My mind was racing with thoughts about both the future and the past. The future is the immediate future. . . specifically the next twenty-four hours as old and new friends from near and far gather today to join us to celebrate God’s faithfulness to us over the last quarter-decade. Tonight we’re having our 25th Anniversary Celebration Banquet for CPYU. Really??? Twenty-five years??? So hard to believe. The past is those 25 years and all that has happened in that brief yet very full span of time. It’s been amazing. But in the months, weeks, and days leading up to today’s celebration, I’ve been reminded of another more bitter anniversary being remembered this weekend. It’s an anniversary of a broken life and too-early death that I’ve been thinking about and been reminded of almost every day for these last twenty years. Tomorrow, it will be 20 years since Nirvana’s Kurt Cobain took his own life at the age of 27. Just like the launch of CPYU, it seems like yesterday. Over the course of the last two weeks I’ve been re-reading the Charles Cross biopic of Cobain, Heavier Than Heaven. It’s been part of my commitment to what theologian John Stott calls “dual listening,” a task Stott says is the responsibility of every Christian who wants to represent and serve Christ well in the world. 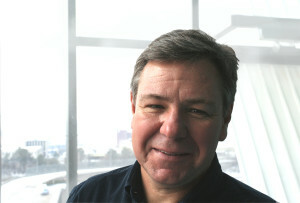 Stott says we must listen to both Word and world. When we listen to both, we are better equipped to know how to bring the light of the Word to illuminate the darkness of a horribly broken world. Heavier Than Heaven has been a journey into some very dark darkness. I’ve been reminded almost every day of Cobain’s death because I made a decision years ago to walk past and look at his picture every time I’m in our office. It was one of many conscious efforts I’ve made to look at youthful brokenness to serve as a reminder of why it is that I do what I do. On our office wall hang three pictures of Cobain. The first is a picture of a smiling young first-grader. It’s one of those school pictures we’re all so familiar with. His eyes are bright and there’s a smile on his face. 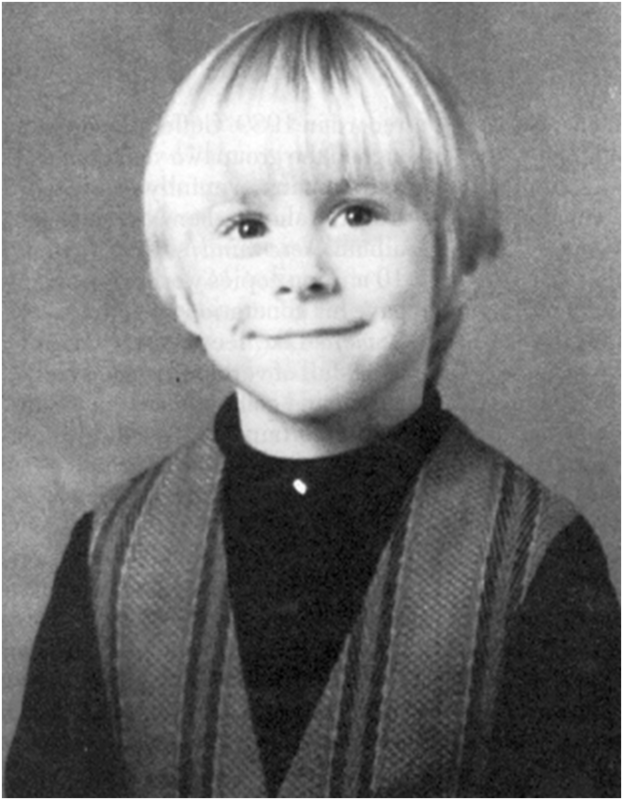 This is the Kurt Cobain who was described as a happy-go-lucky kid who loved life. Then, when he was eight-years-old, his parents divorced. That’s when the smile became scarce and eventually disappeared. Cobain’s music was a reflection and expression of his broken life, and his yearning for healing and wholeness. It resonated with a generation that found in Cobain a mouthpiece for their own difficulties. One of the most significant conversations I’ve ever had with a kid took place when he introduced me to Cobain and the music of Nirvana back in 1991. When I asked him what it was that he liked about the music, he said, “This guy sings what I feel.” The kid was in middle school at the time. 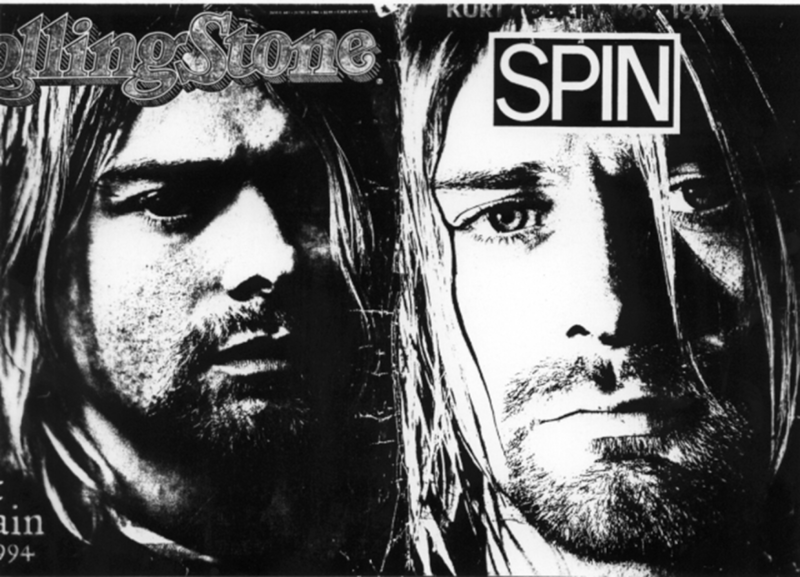 After Cobain killed himself on April 5, 1994, both Spin and Rolling Stone ran covers and lead stories on Cobain’s life, music, and death. Both issues arrived in my mailbox on the same day. When I pulled them out of the mailbox, I stood on the driveway staring at the covers. They were piercing. In a way, they spoke a loud and clear message to me: “This is why you do what you do.” I brought them into the house and set them down on the table. Lisa and I looked at them both and she perceptively remarked, “Look at his eyes.” I knew just what she meant. They are eyes that are hungry for heaven. Today, both of those covers hang framed on our office wall. Between them is the photo of the smiling young boy. They are hung in that order so that I’m reminded of the fact that something happened in the time between when those photos were taken. And that is why we do what we do. While there is unmistakable permeating brokenness in the world, there is a hope that because that brokenness is being undone and will be finally and completely undone. And that. . . well. . . that’s why we do what we do. All thanks and glory to God for sending His Son into the world. . . and for the last 25 years. ← World Vision. . . Responding To The Response. . .